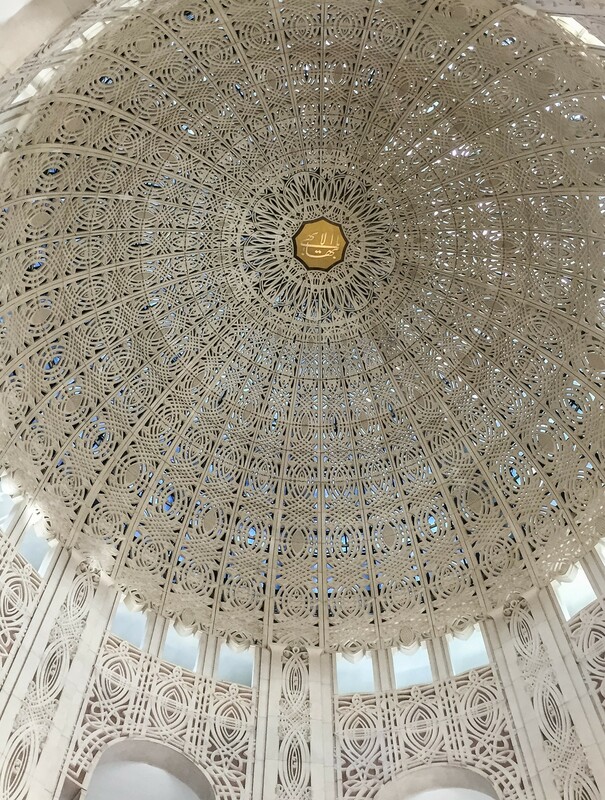 The Bahá'í House of Worship in Wilmette is an intricate concrete masterpiece with thoughtful details that reflect oneness for humanity. 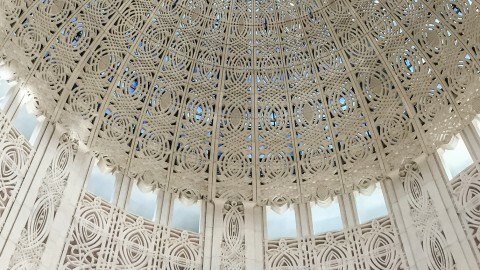 The Bahá’í religion was founded in the Middle East in the 1840s. Its introduction in the United States can be traced back to a Parliament of the World’s Religions meeting in Chicago in 1893. By 1900, there were nearly 1,000 Bahá’ís living in the U.S. and Canada. 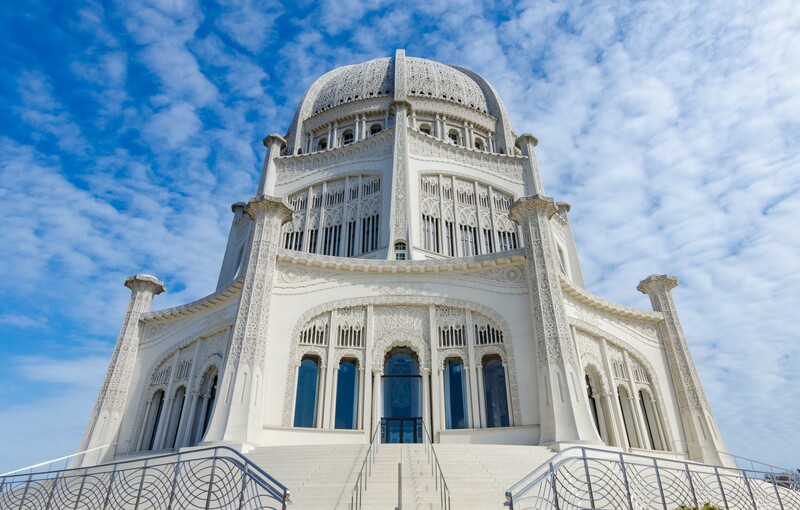 Plans to construct a Bahá’í temple in the Chicago area emerged in 1903, but it would be another 50 years before the temple was finished. Two lots were purchased along Lake Michigan in 1907, in what was then Grosse Pointe (now Wilmette). Raising funds for the temple’s construction proved difficult, as it was financed by individual contributions from Bahá’ís around the world. Two World Wars and the Great Depression slowed things down. The son of the religion’s founder dedicated the temple during a visit to the U.S. and the foundation stone was laid in 1920. Bahá’í House of Worship architect Louis Bourgeois worked for two prominent Chicago architects: Daniel Burnham and Louis Sullivan. During World War II, pilots in training from the nearby Glenview Air Station used the temple—which they called "Point Oboe"—as a guide during practice missions over Lake Michigan. John Joseph Earley was a pioneer in the use of architectural concrete. 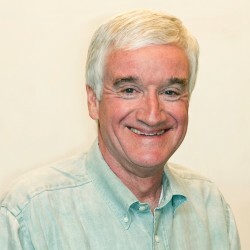 His father, James Earley, was an Irish immigrant who became a noted sculptor. His most famous work was the “Buffalo” nickel. 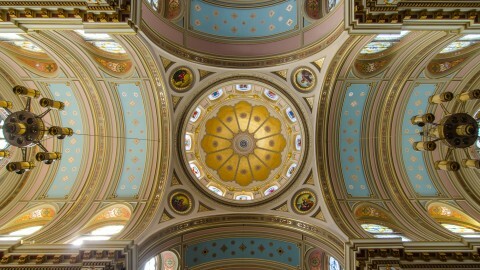 The building combines neoclassical symmetry, Gothic ribbing, a Renaissance dome, a Romanesque clerestory and Islamic arabesque tracery with the suggestion of minarets. The carvings on the nine exterior pillars reference various world religions with symbols like the Star of David, crucifixes and the Islamic star and crescent. The gardens contain both rectangular approaches and circular gardens, reflecting Eastern and Western influences. Neither Bourgeois nor Earley saw the completed temple. The formal dedication for the superstructure took place in 1953. 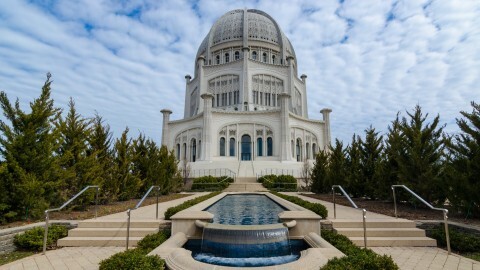 The Bahá’í House of Worship has a rather dramatic setting on Sheridan Road and across from Wilmette Harbor. Because of the turns on Sheridan Road the temple can appear unexpectedly. The first time I saw the temple was late at night when I was driving back from the city. Suddenly this brightly illuminated dome jumped out at me. I nearly drove off the road. There are only nine Bahá’í houses of worship in the world. All nine temples share certain design features, including domes and gardens. Each temple is nine-sided because Bahá’ís consider the number nine—the highest single number—a symbol of oneness, comprehensiveness and unity. In Wilmette, the temple includes nine entrances and nine verses above the doors and the alcoves. Of all the temples, the Wilmette house of worship is the oldest. It has been named a National Historic Landmark, one of the Seven Wonders of Illinois and is visited by 250,000 people a year. 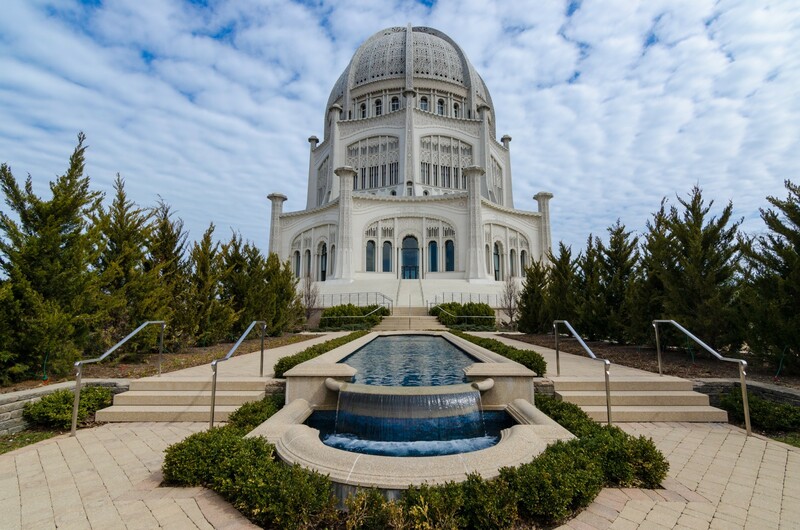 Aside from being called the “Temple of Light and Unity,” the 1100-seat Wilmette building is known as the “Mother Temple of the West” by Bahá’ís around the world. 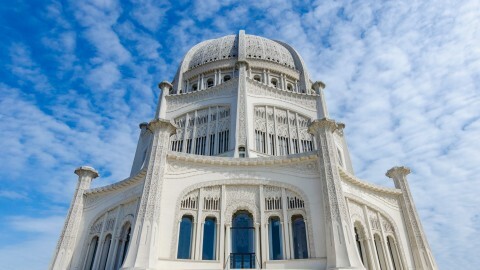 Today, it remains the only Bahá’í temple in the U.S.